ISHN - A bit of history was made yesterday when President Obama became the first president to issue a proclamation in recognition of Workers Memorial Day (April 28th). 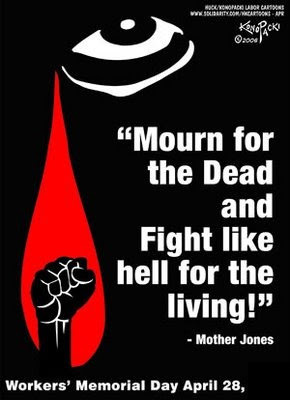 ...On Workers Memorial Day, we remember all those who have died, been injured, or become sick on the job, and we renew our commitment to ensure the safety of American workers... thousands die each year of work-related disease, and millions are injured or contract an illness. Most die far from the spotlight, unrecognized and unnoticed by all but their families, friends, and co-workers -- but they are not forgotten. "The legal right to a safe workplace was won only after countless lives had been lost over decades in workplaces across America, and after a long and bitter fight waged by workers, unions, and public health advocates. Much remains to be done, and my Administration is dedicated to renewing our Nation's commitment to achieve safe working conditions for all American workers. Senate OSHA hearings "nothing more than PR"